Northland’s Gym & Stage: Renovations? The stage and gym and Northland Christian that are currently in place should be considered for renovation. The gym and stage were first built in 1996. 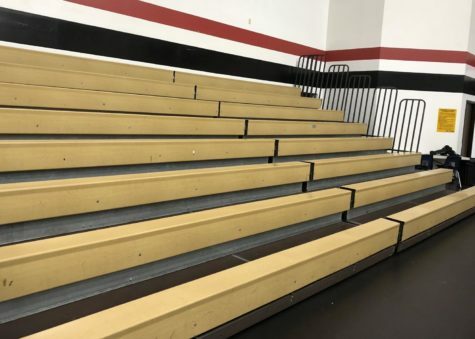 The bleachers have also been in the gym since 1996. It was last redone in 2010. The stage has been stained and sanded twice since 1996. I received this info from Mrs. Lemm, who has been at Northland since the gym and stage had been made. As the school is progressing and getting larger with new students coming in, the school needs to renovate the stage and the gym. Especially with the plans of moving the elementary over, it should be considered more than ever. Many international students are coming over, and it would benefit Northland having new utilities. These are just a few benefits of being able to have a new stage and gym. Northland hosts many volleyball and basketball games a year as well as hosting for other sports teams too. NCS theatre will be doing the Little Mermaid for this fall as well as a play for the spring season. However, the question before moving forward with this are the costs for renovating the gym and stage. Previously, Northland had future plans of making new gym and stage facilities, but the costs were too high to fund it. I contacted trusted sources at the school, but they are unsure of the costs and how long it will be before they can. In conclusion, Northland should greatly consider having renovations for the stage and gym. It would be a cleaner, nicer facility that would suit a larger population of students that are coming in.